Larger a city, bigger the disconnect between administration and citizens. In small towns and rural areas, citizens are more involved with the administrative authorities. They work with the authorities in making their daily lives easier. But this is not the case in a city like New York or Tokyo. It can be tough for citizens (and even tourists) to get the the information they need at the right place. What can the administration do? How can they build a system that allows citizens to raise their voice? A simple yet effective method that city administrations are adofwaspting is QR Code technology. A QR Code is a square-shaped barcode that stores information. Anyone can decode it using a smartphone equipped with a QR Code scanning app. So QR Codes are being massively used today. 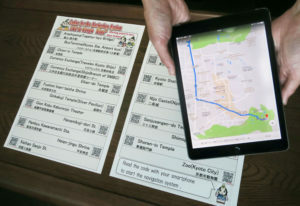 The city administration can deploy a network of QR Codes at every government office. These include utilities offices, police stations, transport terminals, and healthcare facilities. If services are below par, citizens can register a complaint by scanning the QR Code. The system will document these complaints and make the respective offices accountable. This easy system will encourage participation of citizens in the city’s functioning. To help police solve crime speedily, Virginia Beach Crime Solvers opened crime Kiosks at all Virginia Beach area Walmarts. Each kiosk functions as a digital ‘wanted’ poster displaying information such as—wanted criminals and tips about drug use. 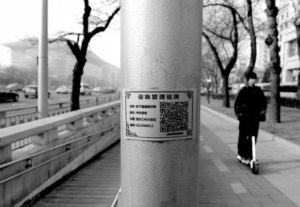 In mid-2016, the city of Beijing installed QR Codes on lampposts across the city. In case any lamp post is not functional, residents can scan the QR Code and register a complaint. Since the implementation, the city council has received 1,800 valid complaints via QR Codes. To curb the problem of inconsistent waste collection, the Trichy City Corporation held a trial for QR Code enabled waste collection in 2018. 25 apartments in Thillai Nagar, Trichy were given a QR Code card. As the sanitary worker collects the waste and scans the QR Code, data is shared to a host computer. Hence, officials get the detailed information about waste collection. The missed households are be identified. This indirectly prevents waste from being dumped on the roads. Also, in 2018, Punjab University (India) launched the use of GoWhatsThat app to monitor the sanitation of washrooms on its campus. Also read—QR Codes to help Karnataka Police in effective patrolling. Machynlleth and Llanidloes in Wales use QR Codes to maintain infrastructure in their town. The countryside services team have set up QR Code plaques on footpaths across both towns. Residents can scan these QR Codes to report damages caused to various structures. These include buildings, footbridges, roads, or any structure susceptible to wear and tear. 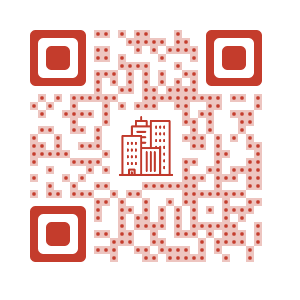 When scanned, the QR Codes lead to the city council’s online form. Here, the residents can report the damage. So far, the city council has fitted 1,267 QR Code plaques across both towns. In Nov 2016, the Ministry of Tourism, Cambodia, announced a public contest. This competition was to rate city services in 7 cities in Cambodia. The Ministry will distribute QR Code stickers to the public when they visit the city. When scanned, the QR Code will lead to a page where they will need to rate the city services. 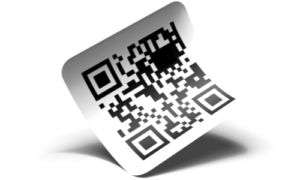 Edinburgh’s administration is set to introduce QR Codes to improve their waste collection services. Citizens can scan these QR Codes to file a report in case the collection van has missed their home. Citizens can also report any overflowing bins in their neighborhood. The program is set to launch in February 2017. City admin should add QR Codes at tourist sites to provide engaging information. The content could be text, photos, or videos. However, providing the content in native language of tourists is also important. It helps enhance their experience to the fullest. 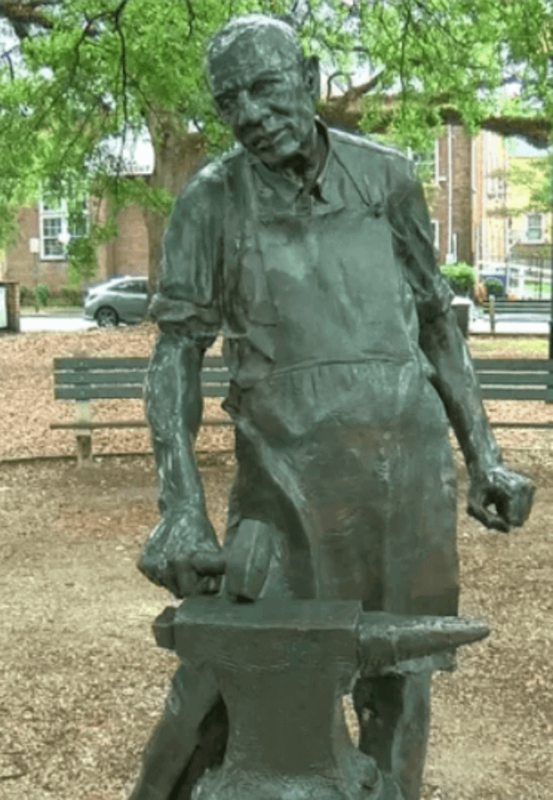 The Charleston Stories Initiative allows people make the statues talk. People can walk up to a statue and scan a QR Code to listen to a monologue. This monologue is by the person whose statue has been built to give an honor. In Kyoto, Japan, the Police have added QR Codes outside their substations (called Koban). 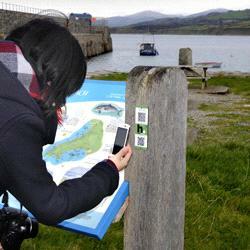 When scanned, the QR Codes provide directions to local tourist spots. By the end of 2016, 300 Police stations across Japan will add similar QR Codes. In mid 2018, the Ministry of Railways, India, planned to launch a pilot scheme of Digital Museums. The Government will not need to invest in and develop virtual museums that occupy space and materials. Digital Museums will be created on the walls of station to depict the history and heritage of Indian Railways. Each zonal Railway will have a QR Code that will link to multimedia content. In Sep 2017, Hyderabad Police instructed the use of QR Codes on Lord Ganesha Idols. These idols are made of clay and are installed for 10 days in Hindu houses and localities as a part of a festival. The QR Codes linked to information on idol’s stall and organiser’s contact detail. This helped police identify cluster of idols and deploy additional forces. While driving, you are required to carry your Driving Licence (DL) and vehicle’s registration certificate (RC). In India, each state uses different formats for these documents. So traffic cops face a lot of chaos. To curb this, the Government of India will launch uniform DLs and RCs. In Bhubaneswar, Regional Transport Offices (RTOs) made learner’s licence, fitness certificate, and carriage permits available online. The main aim behind this was to help people download documents from their place of convenience and RTO officers to focus on more pressing issues. Commuter safety in local city transportation is a big responsibility, particularly in developing countries. The Police need to ensure to ensure that Taxi drivers follow safety rules and do not fleece. To manage commuter safety, Police in Tirupati, Andhra Pradesh, India is using QR Codes. The Police have added a QR Code in each Autorickshaw. When scanned, the QR Code reveals detailed information of the driver and the vehicle. Similar steps have been taken in Ranchi, Mysore, Bengaluru, and Kothagudem India. 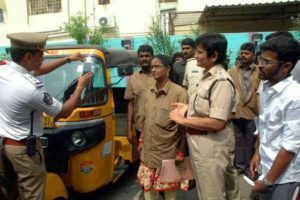 The Andhra Pradesh Police is also using QR Codes to help identify abandoned vehicles. A web app—PINS—helps police identify vehicles and return them to their owners. Also read—Noida Metro Smart Cards to have QR Codes to enable multiple uses. To help passengers clear customs easily and fast, Sea-Tac Airport started using Mobile Passport Control. Passengers need to install the app and simply scan the QR Code to clear customs. Also read: Paperless boarding at Chennai and Mumbai to make air travel easier. A lot of people park their vehicles at places which aren’t parking spaces. To curb this problem, Punjab police launched Parksafe app in 2017. Also read: QR Code in Mumbai taxis and autos. QR Codes are a hassle free way of making payments and buying tickets. Not only do they conserve paper, they also save the commuters from spending time in queues at the ticket counter. 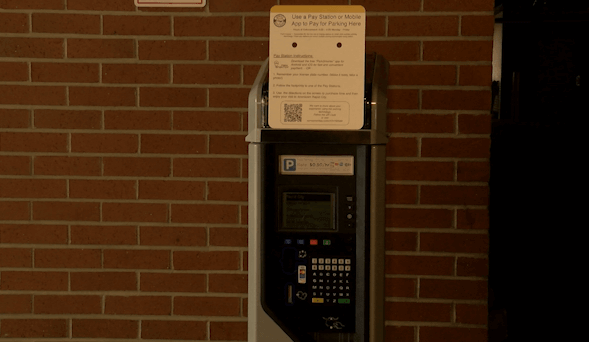 Rapid is testing three stand-alone parking meters and a pay station from Aug 1, 2018 to Sep 30, 2018. All the meters will accept a credit card. You’ll have to make a purchase of minimum $1 to use a credit card. Signs on the new meters have a QR Code. Scanning this survey will bring up a QR Code for the customer. 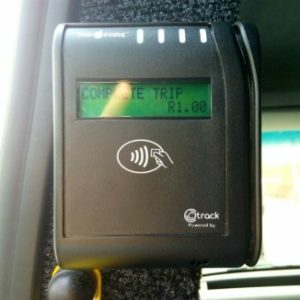 In Pretoria, South Africa, cab commuters can make cashless payments via QR Codes. Commuters can buy points at selected taxi stations and retail stores. The system adds these points to a Fairpay card that has a QR Code or a chip. The commuter has to scan this QR Code via a scanner installed in the taxi. The system deducts the amount for the ride from the card. Also Read: QR Code Payments: Everything you need to know. 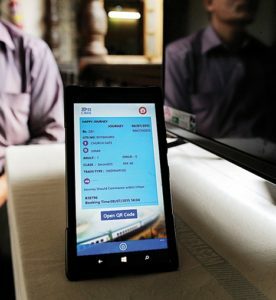 The local bus and train services in Mumbai(India) have adopted the paperless ticketing system. Commuters can book tickets on their smartphones via an app. The QR Code generated on the app will serve as a ticket. 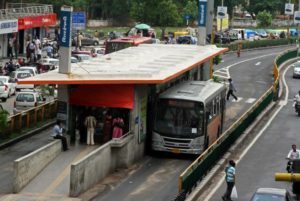 After Mumbai, Ahmedabad (India), is set to adopt the QR Code ticketing system for their local buses. To board the bus, commuters will have to scan their QR Code on the bus’ QR Code scanner. In 2017, two of Delhi Metro’s stations got Automatic Fare Collection gates (Dream Gates) installed to help passengers make payment via QR Codes. 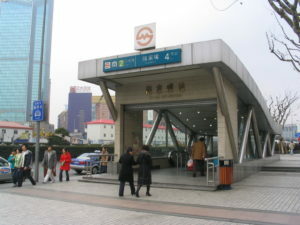 Metro commuters in the Shanghai can collect their ticket by scanning a QR Code. The commuter will first have to buy the ticket on Alipay or Fufeitong app. Once paid, they will receive a QR on their mobile. At the metro station, the commuter can scan the QR Code to get their ticket. Also see how Shanghai is using QR Code based Visa system. In populates cities, travelling by car can be a headache. Using bicycles in such a case does not only help curb traffic, but also control pollution. To do this, many cities across the world are using bike rental services such as Lime bike, Ofo bike, and Indigo Wheel. 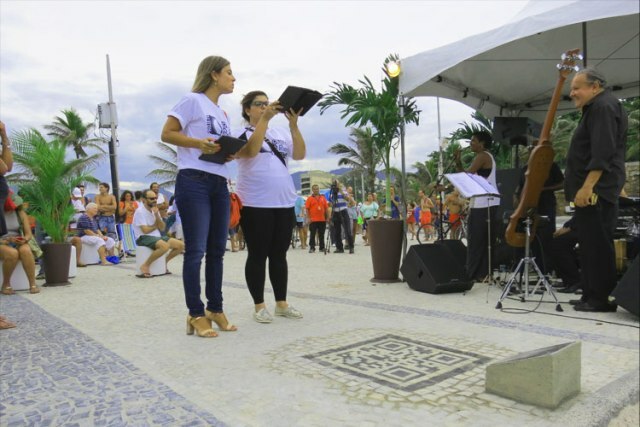 Create a visually-appealing and dynamic QR Code via Scanova to engage tourists and citizens. Free 14-day Trial.